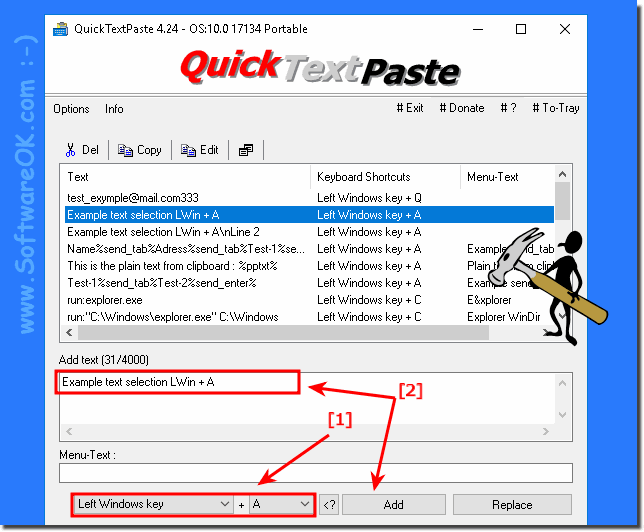 To create Selection of text fields for single hotkey (keyboard shortcut) in Windows (10, 8.1, 8, 7, xp, Server 2016 to 2000) please ... download the latest version QuickTextPaste ! (Image-1) Create Menu of text fields for single hotkey - keyboard shortcut! 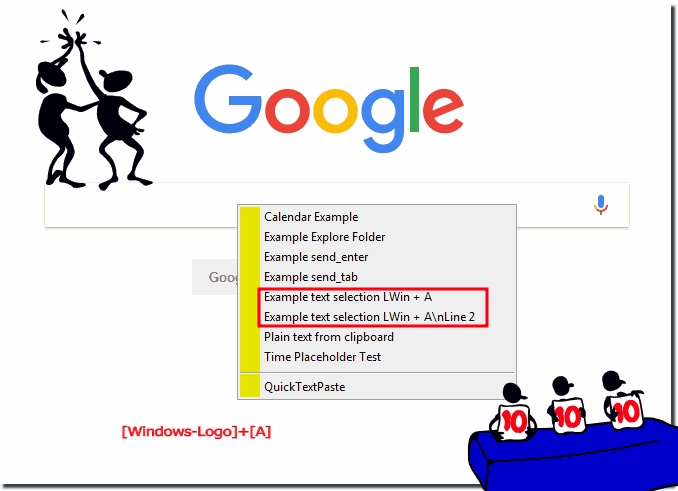 QuickTextPaste - FAQ-2: How to create Selection of text fields for single hotkey (keyboard shortcut)? How to add commands eg. keyboard shortcut for quick text paste? Hotkeys for keyboard shortcut to create?